The “clean plate club” just took on a whole new meaning – for dogs! And we’re not just talking about pups licking their bowls clean with delight – we’re talking about clean ingredients being served up in new line of dry food recipes from Wellness® Natural Pet Food: Wellness® CORE® SIX. These main ingredients are supplemented with essential vitamins, minerals and probiotics to ensure each recipe is complete and balance. 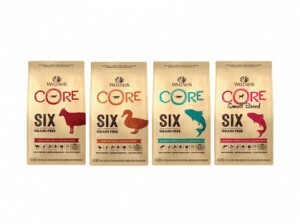 All Wellness CORE SIX recipes are crafted with no grains, chicken, potatoes, tapioca, dairy or wheat, and are free of artificial flavors, colors or preservatives. 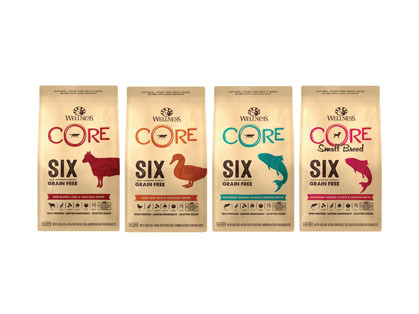 Wellness CORE SIX is available in four recipes: Free-Range Lamb, Cage-Free Duck, Sustainably-Sourced Salmon and Sustainably-Sourced Salmon for Small Breeds. Wellness CORE Petite Treats: These grain-free, protein-rich snacks for small breeds now have a whole new look. Over 100 treats are in each 6 oz. bag and at just 3 – 4 calories per treat, they are perfect for treating or training. Available in a Crunchy Chicken, Cherries & Spearmint; Soft Turkey, Pomegranate & Ginger; and Soft Lamb, Apples & Cinnamon recipes. Wellness CORE Puppy Bites: These soft & meaty, bite-sized treats are made specifically for puppies. They are packed with protein, superfoods and DHA from Salmon Oil and contain no grains, corn, soy, or artificial flavors or colors. Perfect for treating or training! Wellness CORE Puppy Bites are available in Soft Beef & Turkey recipe. 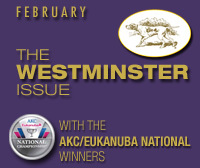 To learn more about the products or find an authorized retailer, visit www.wellnesspetfood.com. 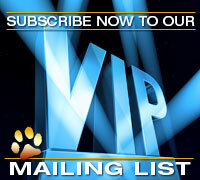 They will also be on showcase at Global Pet Expo in Orlando, FL at Booth 1667. Posted by chesliepickett on Mar 19 2019. Filed under The Buzz. You can follow any responses to this entry through the RSS 2.0. Both comments and pings are currently closed.